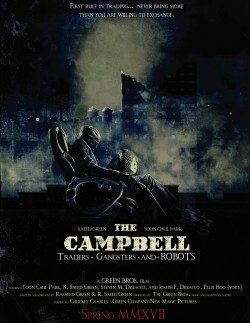 Your new movie The Campbell: Traders, Gangsters and Robots - in a few words, what is it about? 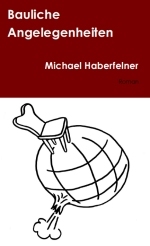 The movie is about a futuristic streetwise loner (NNen) and his robotic companion (A.M.) that visit a local eccentric goods trader to make a deal... but he soon finds himself in the crosshairs of the goods trader's forceful and deadly ways. Well first we were going to put together a series of short movies with interesting concepts and ultimately combine them to make one long movie, sorta like Cat's Eyes or Creepshow. One of those short movies had a character named NNen defusing a bomb to save a young lady. But as we explored the character of NNen, we felt as though his character and the region (The Campbell) had staying power. We could make it DARK but HUMOROUS... and it involves ROBOTS and GANGSTERS. It's actually hard not to make that interesting if you can blend it all together. What were your inspirations for writing The Campbell: Traders, Gangsters and Robots? Although we see a lot of films that involve the future and robots, we've never actually seen it told from our cultural perspective. How would people that grew up in the hip hop world from its inception view the future? We imagine that the future is going to be cool and fresh, and heavily influenced by the culture that we grew up in. The Campbell is a cool place... hard but cool. We as people are comfortable with seeing robots act like robots but in reality, we would be more comforatble acting relaxed and cool. We want to explore those types of things. The Campbell: Traders, Gangsters and Robots was mostly filmed in one rather featureless, darkened room - so what kind of a challenge was it to keep things visually interesting nevertheless - and do talk about the art direction in your movie for a bit! Filming all in one area forced us to be creative so we relied heavily on lighting and set design to keep the look interesting. We chose items around the characters that were, or at least appeared hand crafted to give more of a unique look. 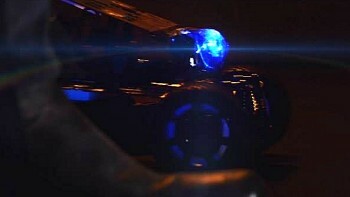 Given that it was a sci-fi movie, we could be creative with the lights and not appear "over the top". Sci-fi also allows lots of flourescent colors... something love stories or comedies rarely call for. We tried to take advantage of that. And finally, we changed the entire color scheme during the duel to give somewhat of a feel that the location had changed, even though it was apparent it hadn't. Since we weren't working with a million dollar budget (laugh), we felt as though the dialog had to carry the story. If the dialog is good, you don't necessarily need all of the fancy additives to keep people's interest. So we tried to make sure they were always talking about something to keep your interest, and let everything else work around it. You have worked with one another on The Campbell: Traders, Gangsters and Robots through pretty much all the phases of filmmaking - so what was your collaboration like, and based on the experiences with this film, could you ever be tempted to work with one another ever again? Well we're brothers (Rasheed/Saeed Green), and so collaborating with one other was natural for us because we work together on other things as well. As far as collaborating with the other players, we would definitely work with anyone that participated in this film. Chuckey Charles with music, Eva Jane Bunkley with makeup, Yoon Chul Park, Steven and Joseph Digiacco with acting, Ron Andereson and Joel Steven with coloring... it was a pleasure working with them and everyone else involved as well. 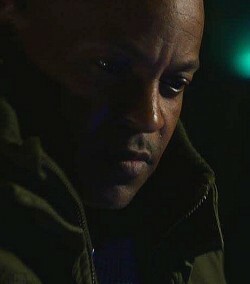 Saeed, you also play one of the leads in The Campbell: Traders, Gangsters and Robots - so what can you tell us about your character, what did you draw upon to bring him to life, and was he written with yourself in mind from the get-go? We didn't want to force the hero into a customary "macho" type of character. NNen's power seemingly comes from his ability to "think" his way out of situations. He wasn't written with me in mind, but our temperament doesn't vary much so it worked. "Wonnie" played by Yoon Chul Park and his servers/henchmen played by twins Steven and Joseph Digiacco were heavily chosen based on the "character" in their faces. As a matter of fact, the henchmen don't talk at all, but the look and feel in their faces said everything. Plus, to give contrast to Wonnie's height, we wanted the henchmen to be abnormally tall, which the twins were so it came off in the footage. The atmosphere was cool. there weren't any ego issues for one because none of us could really afford to have one. But more importantly, we all just basically got along. Yoon wasn't available as much as Steven and Joseph due to other obligations but he made time when possible until the project was completed. 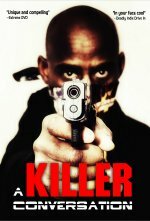 The Campbell: Traders, Gangsters and Robots is available for $1.99 or $2.99HD on Itunes, Amazon Video and Google Play. You can also visit www.WelcomeToTheCampbell.com to purchase through those same outlets. Anything you can tell us about audience and critical response to The Campbell: Traders, Gangsters and Robots? More than 90% of the people that have actually seen it are like "wow... I really enjoyed it!" Most people are drawn to the feel of it because they haven't seen anything that they can directly compare it to. Visually is where we're probably getting the most feedback... but everyone likes something different about it. Me personally (Rasheed), I'm a dialogue person so that's what I'm most proud of. If it has good dialogue, you can actually cut the lights off and still be entertained by a movie. I hope others feel as though our film accomplishes that. We're just now putting the final touches on the full length script to The Campbell: Traders, Gangsters and Robots. 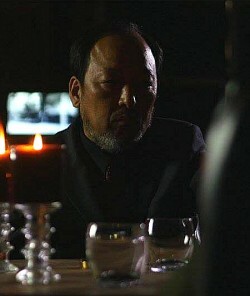 We also have a psychological thriller that I can't wait for audiences to see that I believe will be a signature piece. 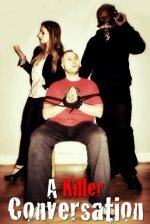 We also have a light comedy in development that will be easier on the faint hearted.